All children have extraordinary stories to tell if we take the time to listen. All children have gifts and talents. Our job is to create opportunities and experiences that allow children to find themselves. To help tease out the interests, passions and skills that will ultimately shape who and what they become. We can do school to kids, or we can do it with them. Abe Moore is a year 6/7 teacher from South Australia. 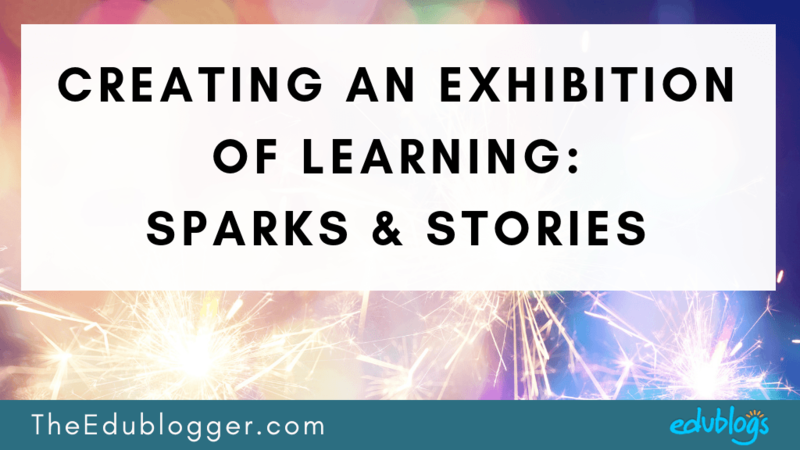 He recently completed an inspiring blogging project with his students called Sparks & Stories. This involved students crafting “stories that matter” over a 9 week period, sharing them on a blog, and creating an exhibition for the school community. 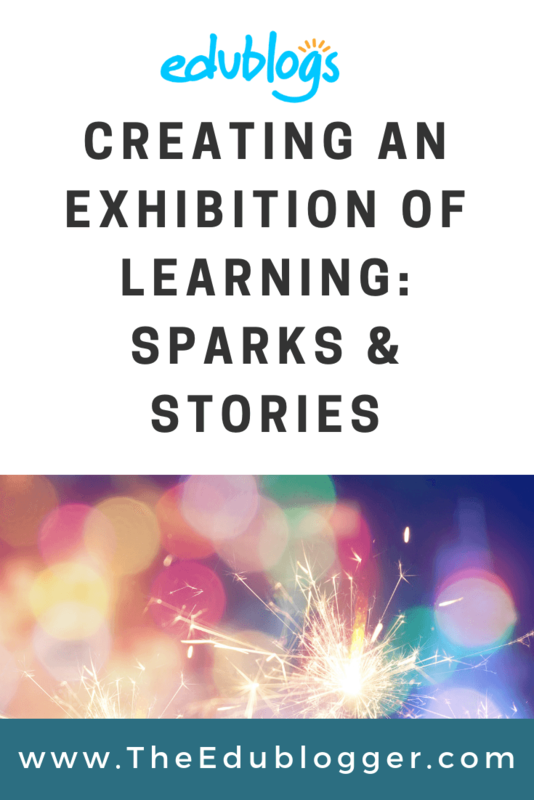 The idea behind our exhibition was simple; use a “spark” to capture the audience’s attention, then hook them with the accompanying story. The sparks included artworks, videos, podcasts, home cooked food from family recipes, and even a mini Tesla coil. The documentary “Most Likely to Succeed” offered some initial inspiration for the class around the idea of an exhibition. Abe ended up writing and sharing a deeply personal story about his mother’s health struggles. He found this exercise to be a powerful experience. Halfway through the project, Abe realised the class needed some fresh inspiration to build momentum. He called on his international PLN for help and was amazed by the response. Authors and experts from around the world shared advice with the students which Abe felt had a massive impact on the students’ stories. The students were further supported in crafting their stories by support staff, parent volunteers, and peer feedback. With their stories taking shape, the attention of the class was turned to the exhibition. Their goal was to transform their empty gymnasium into an inviting exhibition gallery filled with family, food, music, and ambiance. Teachers, students, families, and the community collaborated to bring the exhibition to life. One of Abe’s students and her mother put this short video together to capture the student experience. The longer I do this job, the more I’m convinced that my responsibility is to create opportunities that allow kids to shine. According to Abe, this was the most challenging and rewarding experience of his teaching career so far. Best of all, the whole thing is repeatable. I hope that others will be inspired to go on a similar journey with their classes. We hope so too. Sparks & Stories is a powerful idea. We thank Abe for sharing his journey and invite you to consider how you could do adapt the idea in your own school. Read the students’ stories on the Sparks & Stories blog. If you have a few moments, please consider leaving a comment on some of the stories. It will mean a lot to these young writers! Read Abe’s full reflection on the Sparks & Stories project on his blog. What do you think? Is this something that might work for your students? What do you think are the benefits of students taking “publishing” a step further by hosting an exhibition?